FULLY LOADED! ONE OWNER! PANORAMIC ROOF! NO ACCIDENTS! 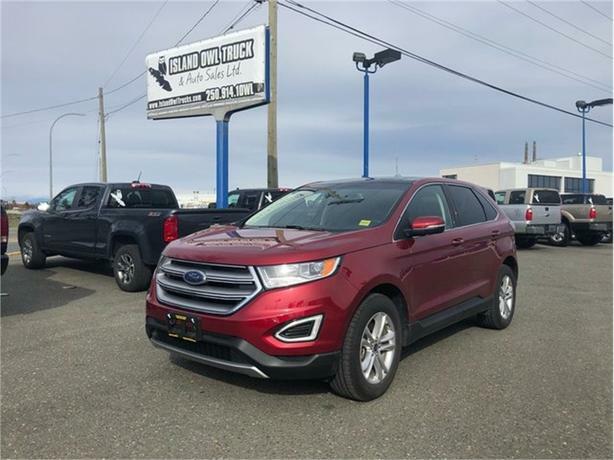 The 2017 Ford Edge is a very luxurious SUV that comes with a Moonroof, Full screen deck, and a Push button start. With super low kms, no accidents, and only one owner this is the ultimate family vehicle! Don't miss out on this beauty, Come down to Island Owl today!